Isn't it a great feeling when you turn a page in a book or magazine and there, right in front of you, jumps out a huge dose of inspiration? 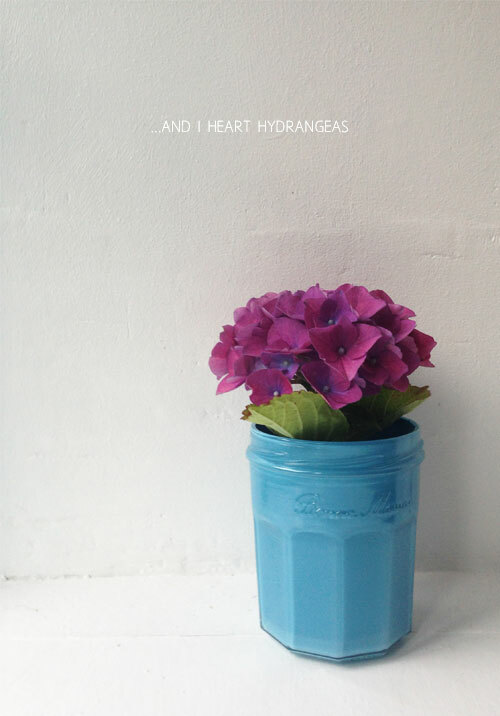 This pretty much summed up my own experience recently whilst I was perusing a 'Summer Homestyle' pull-out from Mollie Makes magazine, which featured a series of painted jam jars created by Hollie Becker from Decor8 and Leslie Shewring. I can still vividly picture the chalky collection of candy store-like colours married to the glossy-effect of the outer glass. Of course the real beauty is you can choose any size or colour whilst mixing and matching your way to accessory heaven. 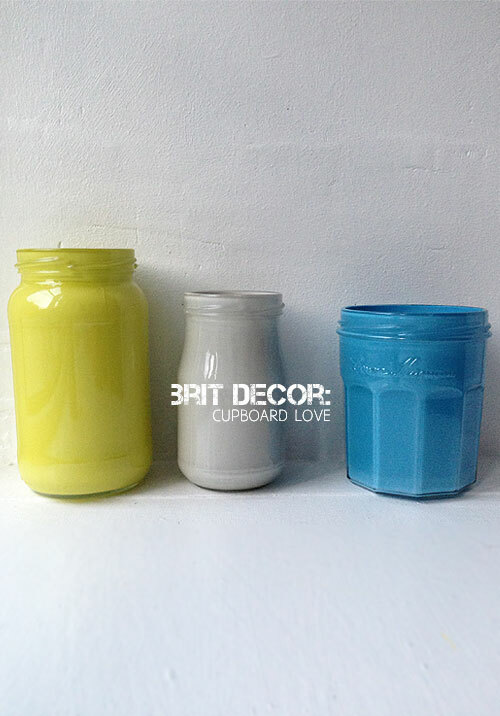 This is also a very eco-friendly way of recycling those unwanted food jars, hence the 'cupboard love' title of today's post; take an unwanted object, give it some love and create your very own unique interior accessory. 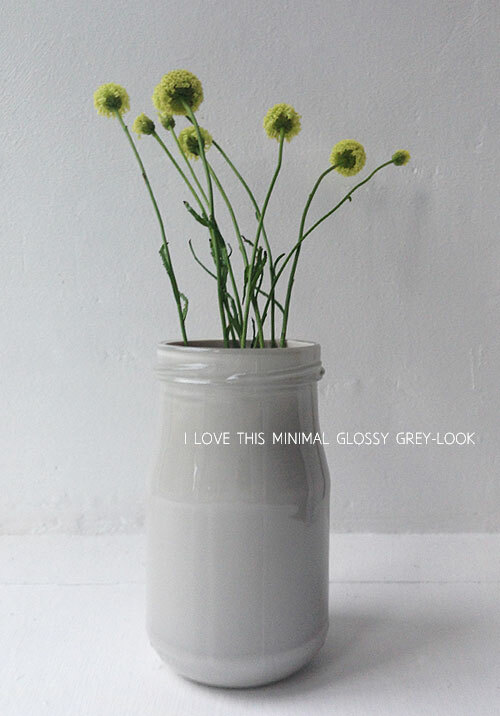 Naturally I had to include a touch of grey in my own trio of jars, which also happens to be my favourite one. I love the chalkiness of the grey - perfect for showing off some of those richer coloured flowers. This neutral-chic colour also looks great as a standalone object for those minimalist areas in the home - perhaps try mixing up a chalky white jar for the perfect partnering! 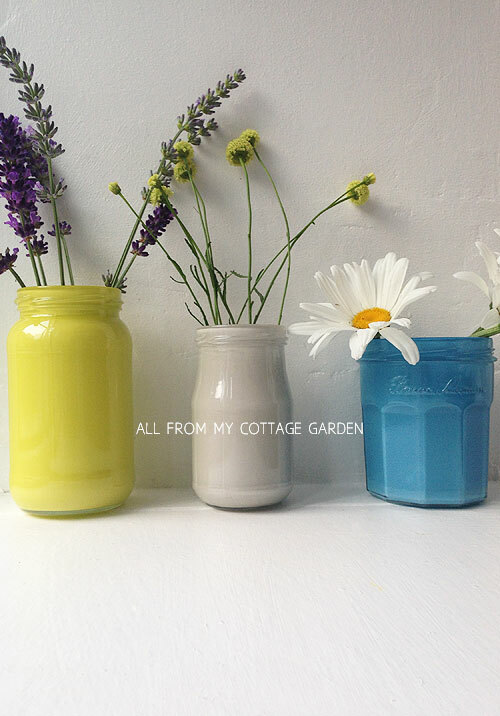 Here I have used my jars to display some favourite florals from my cottage garden but I can also envisage at least one of these being used as a chic desk tidy! How do you indulge in your own cupboard love project? With truly minimal effort! 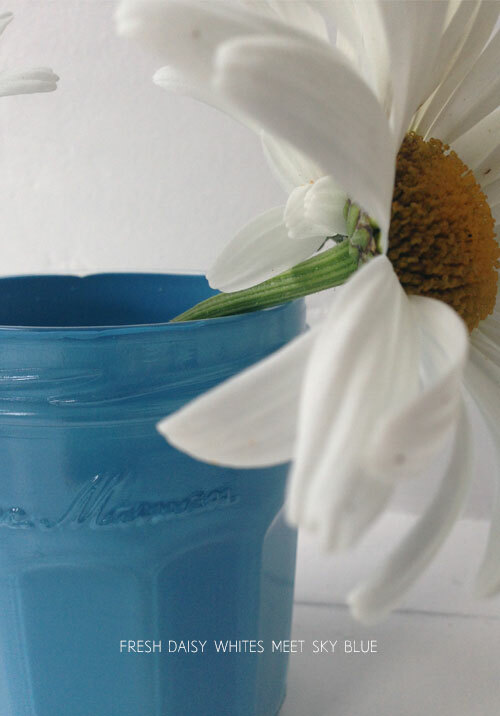 Choose a jar, simply wash it out thoroughly and add a drop of your chosen paint colour. Roll the paint around gently in the jar until the inner glass is completely coated then tip out any excess paint and leave to dry (this can take several days).